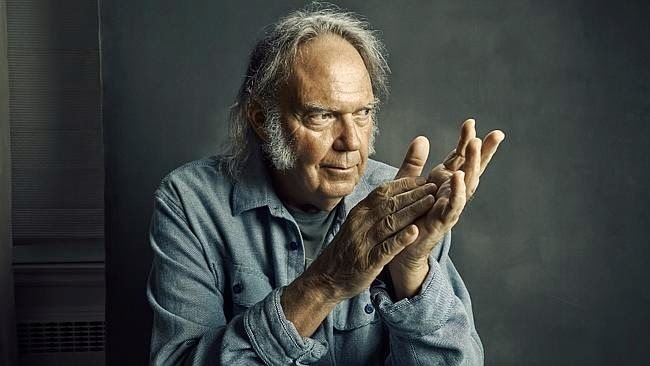 2014 was an eventful year for Neil Young - full of personal and professional turmoil, but also marked by several major creative achievements. In June he took over the role of CEO at Pono − the "ultra high-quality" digital audio system he had launched officially in March − after John Hamm stepped down. 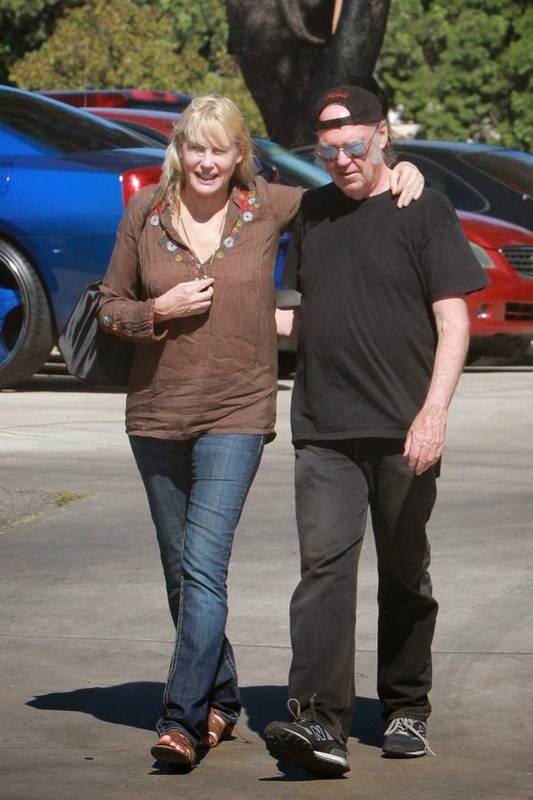 In July he filed for divorce from Pegi Young, his wife of 36 years, after getting involved with the actress and environmental activist Daryl Hannah. In January he performed four solo concerts across Canada dubbed "Honour The Treaties" − benefit shows to support the Athabasca Chipewyan First Nation in Alberta, which is struggling against the detrimental effects of the oil industry in that province. 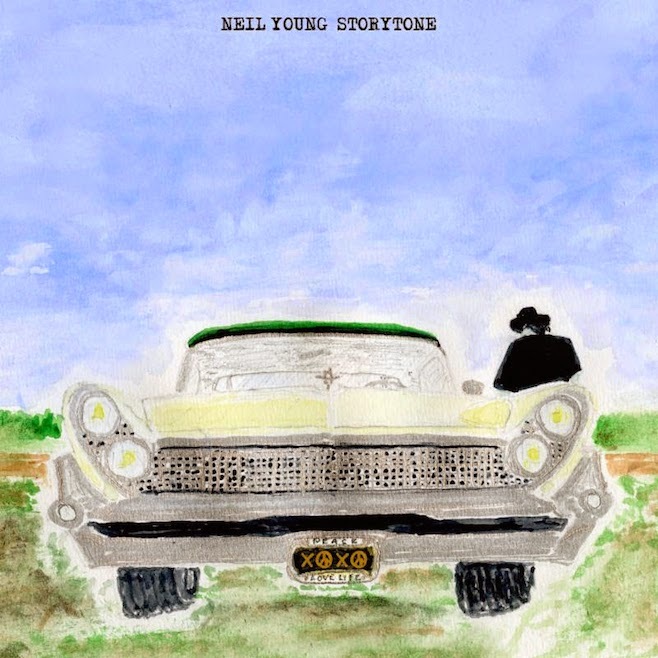 Neil published a second memoir in October − this one called Special Deluxe; it's focused on the vintage American cars that he has acquired since the mid-60s (over forty of them!). He has also found time to record and release two albums: the first − the quirky A Letter Home − came out in April; and he wound up a busy year by releasing his latest album, Storytone, in early November. Not bad for a 69-year old − and he shows no signs of slowing down any time soon. 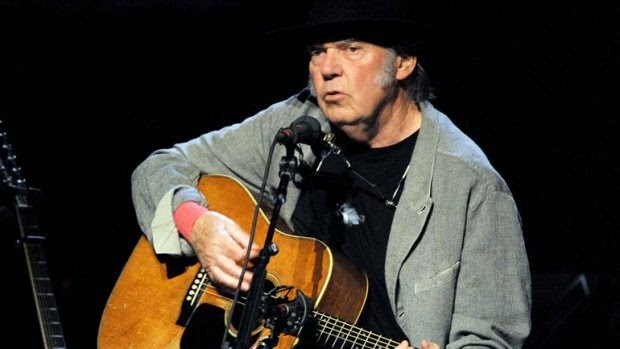 Storytone is Neil Young's 35th studio album. At the time of release (on Reprise Records), it was available in two versions on CD − either a single CD (with the orchestral and big band tracks), or as a Deluxe 2-CD package, which also includes alternate versions of the songs on a second CD (in the same sequence), done in simple demo-styled acoustic versions, with Neil accompanying himself on guitar, piano, ukulele, and harmonica. The album is also available as a double vinyl LP (180g). I got the 2-CD set. Why not? The two versions available on CD were selling for the same price. The double-album release allows you to hear the songs done in dramatically-different arrangements. If the orchestral and band versions don't turn your crank, you can give the solo tracks a try. Maybe there is more of a chance to appreciate the songs, if you hear them in two different contexts? Both discs in the Deluxe package were produced by Neil Young and Niko Bolas, under the pseudonym of The Volume Dealers; they were recorded and mixed by Al Schmitt. Niko Bolas has served as producer or engineer on about a dozen previous Young albums, including Freedom (1989), Ragged Glory (1990), and Living With War (2006). The big band pieces on Storytone were arranged and conducted by Chris Walden, who has worked with Michael Bublé, Diana Krall, Paul Anka and Christopher Cross. The orchestral tracks were arranged and conducted by both Walden and Michael Bearden, who has worked with Michael Jackson and Lady Gaga. 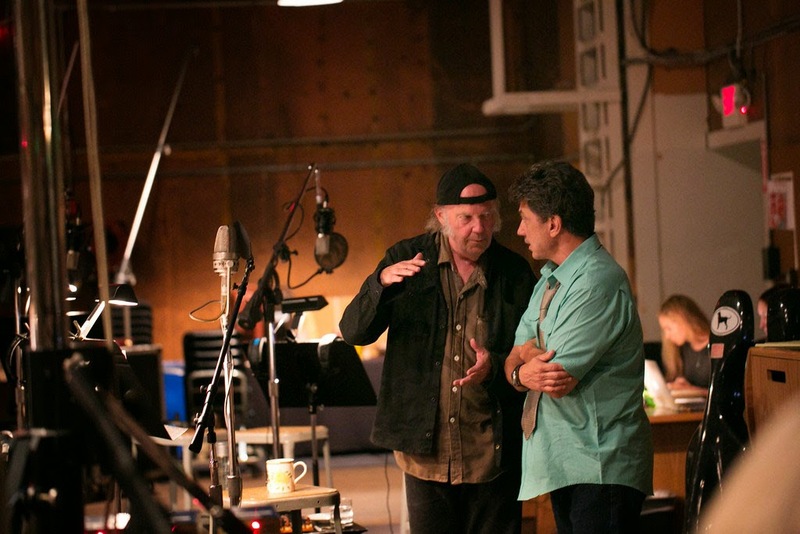 All the tracks were written by Neil Young and recorded at various studios in California. 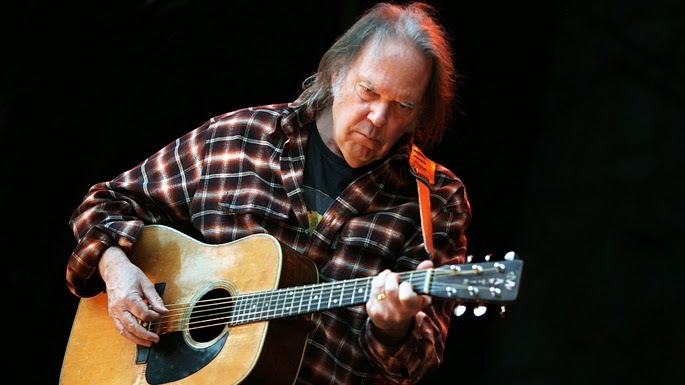 Well, Neil Young accompanied both by a 92-piece orchestra and choir and by a big band? Something completely different and new, you might be thinking. Actually he has tried this before. Young recorded two tracks with orchestral arrangements on the Harvest LP ("A Man Needs a Maid" and "There's a World"), way back in March 1971 - produced by Jack Nitzsche with the London Symphony Orchestra. I was never a fan of those tracks and have always thought they spoiled that album. And Neil did the big band thing on the LP This Note's For You back in April, 1988, with mixed success − aye to the slower blues numbers, nay to the up-tempo R&B tracks. So here we are again − in late-career, Young takes a second crack at putting opulent and brassy arrangements beneath his rather slight and idiosyncratic tenor vocals. Does it work? In a word, no. It's a brave attempt, from an artist who has never shied away from doing his own thing and taking creative risks. But the problems here are weak material, dull arrangements, and a performing style that just doesn't suit this sort of musical presentation. When your eyes are blinded by love." His eyes two pinecones looking out." With a tear in her eye." He's not offering much of interest in these songs - not much insight, and very little for the listener to engage with; they seem to have been tossed off quickly, with minimal revision or second thought. And what of the music? Do these big arrangements help the songs − do they enhance the overall effect? Unfortunately, they don't. The orchestral arrangements (seven tracks) are straightforward and bland. It's more-or-less full-on symphonic style here. Not the sort of subtle counterpoint that Nelson Riddle, for example, brought to his arrangements − using soloists, or small groups of instruments, to punctuate the drama in a song. 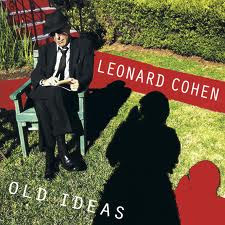 The arrangements on this album are lush and melodramatic and tend towards show-biz schmaltz. If Neil Young was a singer of any significant power - I'm thinking of the great crooners of the '40s and '50s − he might be able to mitigate against this mediocre accompaniment. But his style of vocalizing just doesn't fit these earnest and hollow arrangements. The pumped-up orchestrations are a good example of the adage that "more is less". It's the same problem with the three big band tracks. With these kinds of powerhouse brass arrangements you need a strong, gritty vocalist − a soul-singer type belting out the songs, or an R&B-styled 'shouter'. And two of the brass arrangements sound strange with the incongruous additions of electric guitar and harmonica solos. They remind you that this is a Neil Young version of the big band sound, but by doing that they undercut the authentic approach they were evidently looking for. The accompanying CD (with the solo, demo-like versions of all the songs − done in the same order) allows you to hear the songs in a different context; and that offers some interesting comparisons. "Tumbleweed", for example, sounds quite affecting with nothing but a ukulele for accompaniment. The lush orchestral version features hokey winds and chimes. "I'm Glad I Found You", on the other hand, sounds rather pallid with its simple piano accompaniment; the orchestrated track gives it more life. And the anthem "Who's Gonna Stand Up?" sounds pretty good in both incarnations − with a chunky guitar riff in the solo track, and an effective riff from the string section, which gives this orchestral track some rare momentum. Overall, I preferred the solo CD. Neil's wan vocal delivery suits his trademark guitar, or piano, backing. 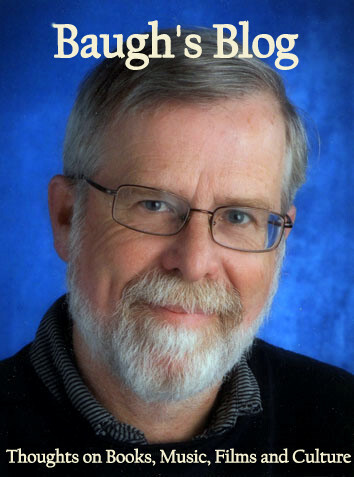 He just doesn't have what it takes to sell the big band or full-orchestra approach. 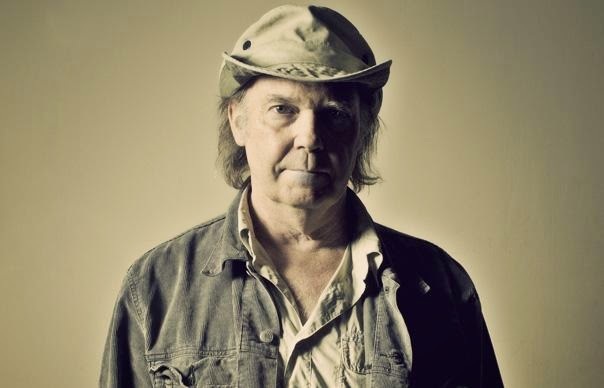 Well, up until this post, Neil Young has been "batting a thousand" on my blog - with two books and three albums. But this one, I'm afraid, I'm calling a dud. I wouldn't recommend it, unless you're a "completist", or you're intrigued to hear what Young can do with this particular musical guise. Back to "Old Black", Neil − Crazy Horse is calling!